On Sunday, March 10, an Ethiopian Airlines Boeing 737 MAX 8 aircraft en route to Nairobi crashed shortly after takeoff from Addis Ababa, killing all 157 people on board. 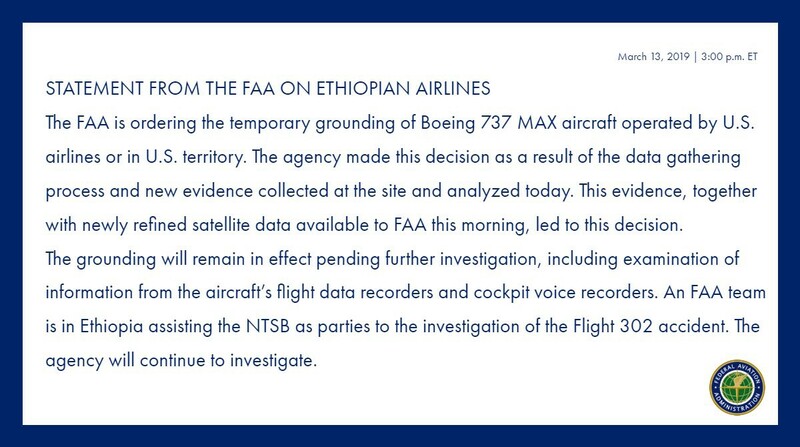 It was the second fatal crash in six months involving Boeing 737 MAX 8 airplanes. Last October, in similar circumstances, a Lion Air flight crashed minutes after takeoff from Jakarta, killed 189 passengers and crew. The latest tragedy has sparked concerns regarding the safety of the MAX 8’s AI-empowered autonomous flight systems. 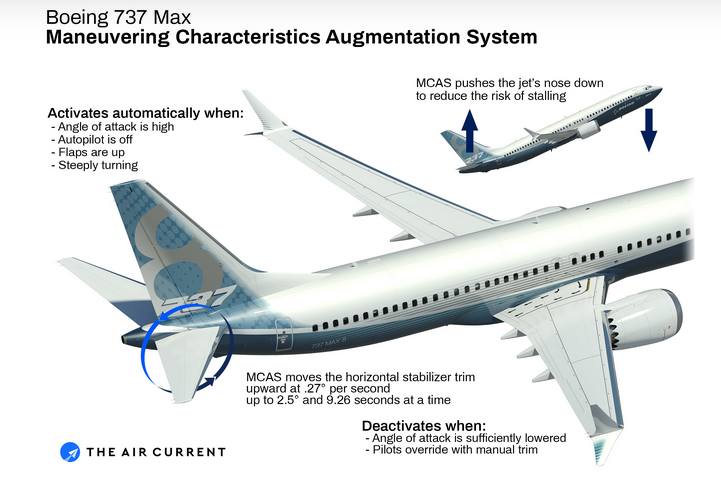 Investigations based on data and evidence are underway, with attention focused on the aircraft’s Maneuvering Characteristics Augmentation System (MCAS), which Boeing introduced on the MAX 8. 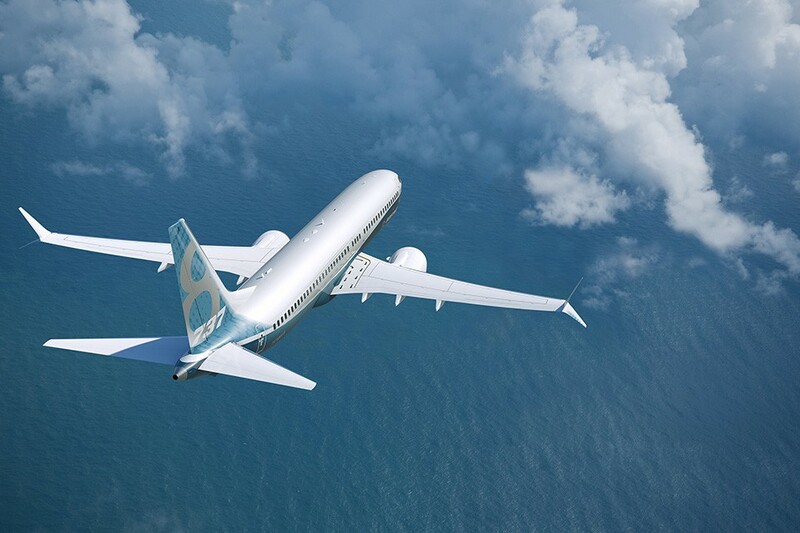 When designing the aircraft, Boeing engineers sought to deliver a product with higher efficiency and lower fuel consumption to compete with market rivals. Their solution, according to industry publication The Air Current: “by moving the engine slightly forward and higher up and extending the nose landing gear by eight inches, Boeing eked another 14% improvement in fuel consumption out of the continually tweaked airliner.” The relocation of engines however caused the aircraft’s nose to tend skyward, which could put the plane at risk of stalling. To address this issue Boeing equipped the flight-control system with a new Angle of Attack (AOA) sensor, which in conjunction with the MCAS could automatically push the nose down if the sensor indicated a dangerous nose pitch. The Seattle Times reports that “In the Lion Air crash that killed 189 people in Indonesia, investigators have determined that this sensor, the Angle of Attack (AOA) sensor, was feeding bad data to the jet’s flight computer, activating the system and repeatedly pushing the nose of the plane downwhen in fact there was no danger of a stall.” Federal records in the US show that in recent months there have been numerous complaints from pilots on a lack of transparency regarding Boeing’s software modifications to the MAX 8 autopilot, and insufficient testing and training on the changes.